In the eyes of Halo fans, Showtime executives are now walking around with halos over their heads. The premium cable network has given the green light to a live-action Halo television series, The Hollywood Reporter confirmed. Showtime handed the project a 10-episode order and tapped Awake's Kyle Killen as writer, showrunner, and executive producer. Rise of the Planet of the Apes' Rupert Wyatt is on board as executive producer as well, and is set to direct a handful of episodes. The scripted drama series has Steven Spielberg's Amblin Television tied as a producer alongside primary producers Showtime and Microsoft/343 Industries. Simply titled Halo, the adaptation is said to take place in the same universe as the 2001 video game it's based on and will "dramatize an epic 26th century conflict between humanity and an alien threat known as the Covenant." Showtime noted that the series will blend together personal tales of triumph and tribulation with "action, adventure, and a richly imagined vision of the future." An anticipated debut date for the Halo TV series hasn't yet been announced, although it has been confirmed that production will begin sometime in early 2019. "Halo is our most ambitious series ever, and we expect audiences who have been anticipating it for years to be thoroughly rewarded," Showtime CEO David Nevins said at the time of the announcement. "In the history of television, there simply has never been enough great science fiction. Kyle Killen's scripts are thrilling, expansive, and provocative; Rupert Wyatt is a wonderful, world-building director; and their vision of Halo will enthrall fans of the game while also drawing the uninitiated into a world of complex characters that populate this unique universe." 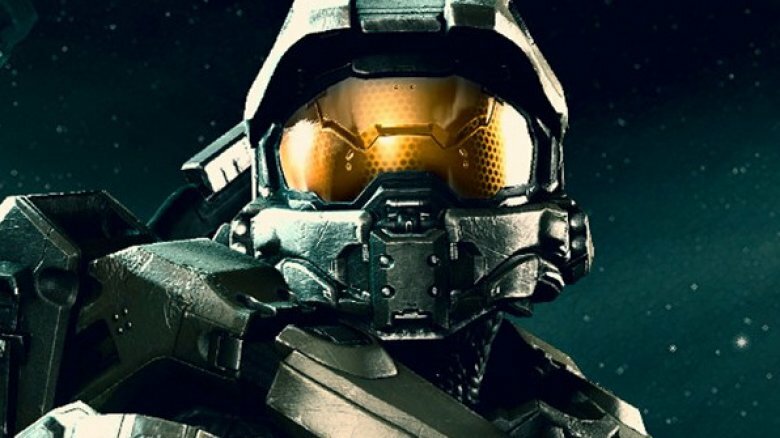 Fans of the video game franchise, which has pulled in over $5 billion in sales and sold more than 77 million copies across the globe to date, should be quite excited by this news, as the road to making a Halo TV show a reality hasn't been a particularly smooth one. Xbox Entertainment Studios first announced plans to bring Halo from video game consoles to the small screen back in 2014, but the project has in development hell ever since. As THR notes, the Halo series was originally intended to debut on Showtime and later shift to streaming on Xbox systems. Neither Microsoft nor Showtime have commented on whether that is still the plan. Not only does Halo join the ranks of Showtime's scripted roster that includes powerhouse series Shameless, Billions, and Homeland, but it also becomes the latest entity to carry the video game adaptation badge — which is often viewed as something of a scarlet letter. Many believe the video game movie curse to be totally true — due in large part to the lackluster Assassin's Creed and Prince of Persia: The Sands of Time – but recently, releases like Rampage and the Alicia Vikander-led Tomb Raider reboot have proven that yes, studios can take well-known games and transform into perfectly decent, even pretty awesome pieces of media. Hopefully Showtime can do the same with the Halo TV series.